Civilian male military spouses go check out Macho Spouse website by Taurus M. James. Macho Spouse is an organization founded by civilian male military spouse Chris Pape. I contacted Chris after seeing one of the videos he produced containing helpful information and resources to help civiliam male military spouses, like me. I offered to redesign the static HTML website and build a database-driven website at no charge. That was the beginning of our partnership and our efforts to build the Macho Spouse online community into the leading resource for civilian male military spouses. I completed the website re-design and website development for the MachoSpouse.com website and it is now live! I redesigned the look and feel of the website and I converted the static HTML website into a database-driven website. The Macho Spouse website is now powered by the TOROCMS platform that I built. I also create rich media content for the website. My role has grown to online strategic planning for the organization. UPDATE: I just completed an update to the Macho Spouse website design to make in "responsive" for mobile devices. I also did a big update to the database and code for the custom CMS that powers the website. 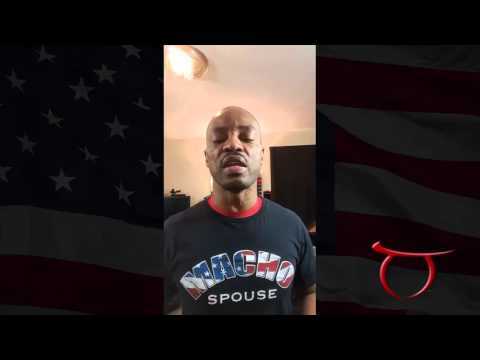 I still provide website services for Macho Spouse at no charge as a way to help connect male military spouses to one another and the valuable information they need. What Is Macho Spouse - MachoSpouse.com? The website features videos containing interviews from current and former male military spouses, military family and relationship counselors, military spouse career and entrepreneur experts; as well as a variety of other individuals who have an in-depth knowledge of what it takes to be a happy, successful, strong, supportive person in military family life. Go check out the MachoSpouse.com website and let me know what you think by leaving a comment below.